As most of my blog readers know, I am a doll collector. I play with dolls. I also restore dolls for The Broken Doll. Dolls are one of the great joys in my life and have been for years. I have been fascinated with them both in real life and in film and literature. For many, dolls hold a major creep factor. I haven’t ever had an issue with being creeped out by dolls in real life but I love watching and reading about others squirm. This morning, I woke up to see that Carolyn Haines had released a short story titled, “Robert The Doll.” I knew immediately who Robert was and a squeal erupted from my throat. Robert is a well-known (supposedly cursed) doll who was once owned by Key West painter and author, Robert Eugene Otto, housed at the East Martello Museum in Florida. With the release of the movie, “The Boy”, Carolyn’s gift to paranormal doll lovers everywhere couldn’t have come at a better time. Needless to say, I breezed through the short story of Robert. I have been a big fan of his for a long time. Mario Anza is a 15-year-old boy who has been conned into coming on vacation to Key West Florida in September by his two heavy-drinking parents. With his parents passed out drunk most days, Mario has to make the best of his week in the town of winter-escaping old folks. After several failed attempts at fun, he stumbles upon a local high school group about to tour the East Martello Museum. He chats up a pretty blonde, Ashley and her friend, Ellie about the supposed haunted doll, Robert who resided in the east tower. Afraid, Ashley’s friends refuse to go with her to see Robert, but Mario agrees to sneak in and take a look to impress her. Shivers will run up and down your spine as you read, “Robert The Doll.” The suspense is so well written that you’ll want to read this in the light. Why not start now? Click on Jo below to go to the link to get your own copy. Don’t make Robert angry. There are several GREAT sales on books right now that are MUST haves. Here are just a few I would suggest you all picking up and even pre-ordering for next month. It came a huge snow storm last night and now me and the kids are staying warm in the house. So, I am currently reading “Murder on Wheels” by Lynn Cahoon and am loving it. Who knew gluten free was deadly? The release date is February 2, but you can pre-order it now! Just click the book link below. It’s available in paper and e-book format. Kathi Daley is a self published author. Some may wonder what that means having seen all the big names publishing companies on so many books at the various book stores. So, what does it take to be self published? Kathi joins Booth Talks Books today to talk to us about the process and what she hopes to accomplish in the future as she s tarts aiming her books toward bookstores. 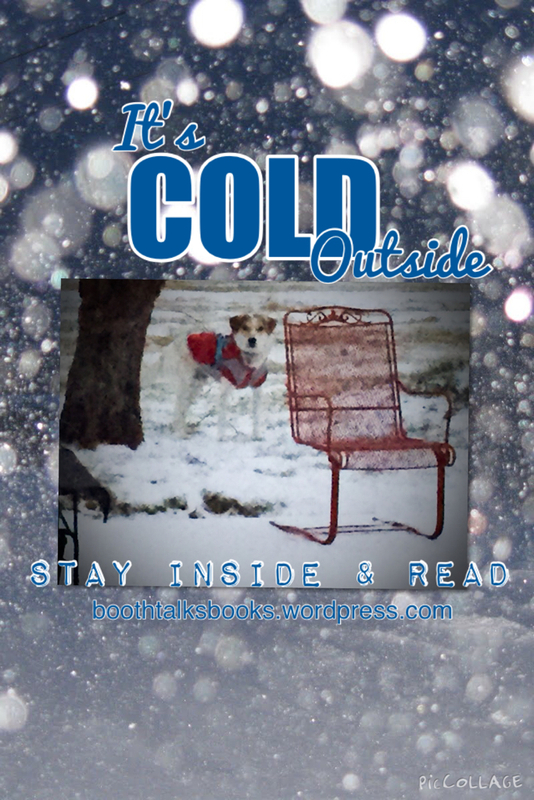 Booth Talks Books: Why do you choose to self publish? Kathi Daley: I chose to self-publish because I am impatient. It really is as simple as that. Finding an agent, waiting for them to find a publisher, then waiting for a publish date and finally seeing your book in print can take years. With self-publishing the timeline from completed manuscript to book for sale is about a month. I have been very happy with self-publishing and would choose that route all over if I had to do it again. BTB: What was your first self published book? BTB: What does your day look like when it comes to writing, promoting and such? What all is involved? KD: I work a LOT of hours. I get up in the morning, have some coffee, and immediately get onto the computer. I have to do my birthday posts as early in the day as I can since I am on the west coast, so I always do those first. I then answer emails and take care of other social media tasks such as giveaways and promo updates. This takes about two hours. I then have breakfast and write until I get my word count for the day (usually around 5,000 words). I do try to relax in the evening and I do try to take at least one day a week off and one short (week long) vacation every few months. BTB: Now, you want to try to get your books physically on bookstore shelves. How does a self-publishing author go about that? What obstacles do you face that those with a publishing company don’t face? KD: When your books are trade published the publisher takes care of distribution. The publishers have contracts with large retailers and your books are sent to the retailer from the publisher. When you self-publish you have to contact the bookstore directly and convince them to give your book a shot. I am trying to get my books into Barnes and Noble. It’s a process to be sure. It helps if those who buy the books would go into their local branch and requests the books. If the buyer for the store has enough requests for an author’s books they are more likely to decide to carry them. BTB: Do online purchases and reviews help get a book into bookstores? How can readers help if at all? KD: Online reviews and purchases most definitely help. Bookstores look at those types of numbers when deciding whether or not to carry a specific book. As I indicated in the previous answer It helps if those who would buy the books would go into their local bookstore and requests the books. My books are available for order through Createspace’s expanded a distribution network so bookstores can buy them wholesale and sell them retail if they choose. Thank you so much Kathi for taking the time to be with Booth Talks Books today. This information is for sure something that will help us readers better understand another segment of the world of the author. Now, it’s time for you readers to leave a comment for Kathi! Comment below with your e-mail address for a chance to win a $25 Amazon e-card and a paper (Us Only) or e-copy of Shamrock Shenanigans. And, if you have questions for Kathi, ask away! She’s SO good with her readers. My family hails from Ireland, the Northern region, so I am slightly obsessed with the subject. Okay, I am totally obsessed. So, when I saw the word, “Shamrock” in the title of Kathi Daley’s new release, “Shamrock Shenanigans”, I knew I had to read it. Okay, it was the photo of Charlie on the front in a leprechaun hat. Seriously, he’s adorable! From a reader stand point who may not know anything about the series, this is not a problem. Ms. Daley gives us “cast” pages and names of the people in the book so the reader can reference it if they need to. So, if you’re like me and deal with 24/7 family life and are not able to get back to the book for a day or two, you can reacquaint yourself with no problem. There was no traveling in this book. We get to start right at the beginning in Ireland, seated at the castle table, waiting for a Murder Mystery weekend to start. Zoe and Zack Zimmerman, the main characters in the story, were invited there and came to celebrate a fun Valentine weekend of sleuthing. We are introduced to the guests and are soon privy to the subtle quirky natures of some. What castle in Ireland would be complete without ghosts? As a storm moves in we are told about the family who once lived there (and some who still do), the ancestors of the current Lord of the castle, Lord Dunphy. The mood is set, yes? Zoe and Zack quickly win the weekend when Charlie, their dog finds a dead body. Wait, what? A real dead body? Maybe that’s not part of the contest and they didn’t really win. While out after dinner to let Charlie do his doggie-business they find the rain-soaked body face down in a pool of blood that had not yet been washed away. Well, so much for a romantic Valentines weekend. To keep the body from washing into the sea, they take the body into a near by cabin and go to report it to Lord Dunphy. As fate would have it, the bridge is flooded, internet is down and phone lines are as well. There are no ways to communicate with the outside world from the tiny island and one or more of the guests have committed murder and not who they say they are. Zoe and Zack spend the rest of their Valentine week sneaking around the castle, carefully quizzing the other guests and staff as well as following ghosts until a starting discovery is made. I will stop there because I literally squealed out loud when this happened. I loved this twist more than Kathi could possibly know. Even though this takes place in Ireland, not a lot of Ireland is referenced. Since I’ve been there and have seen castles like this on rocky cliffs, I totally got lost in the story as they explored, got lost, discovered secret passages, found lost treasures and got into trouble. I loved that a bit of paranormal was thrown in without it getting “silly.” It wasn’t overdone. I love it when ghosts and psychics are put in a story well. It was just enough to move the plot along and get the story to where it needed to be. I did get a bit irritated with Zoe and Zack when they found the body. They just left it inside the cabin without looking around or even looking too closely at the body. I think that part was rushed. Even they think so later, but having them look a little wouldn’t have hurt the story. I loved the action, the characters and the fact that I had no idea what was going on half the time because new things kept being revealed each and every chapter. And of course, that whammy of an ending will not soon be forgotten. Kathi, I hope you do something with that…..